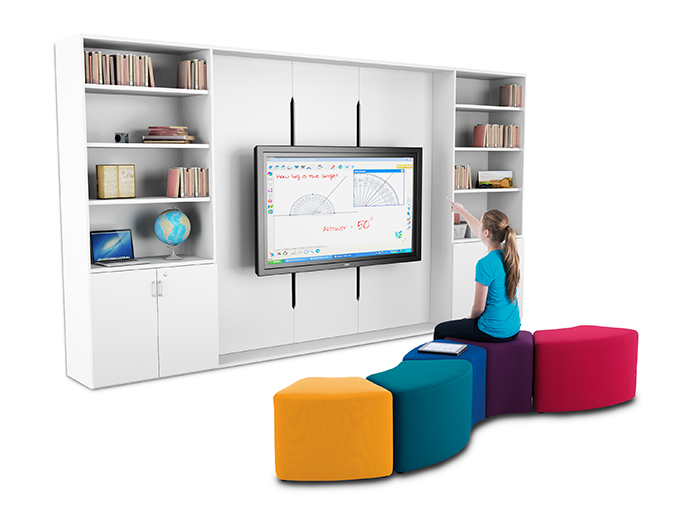 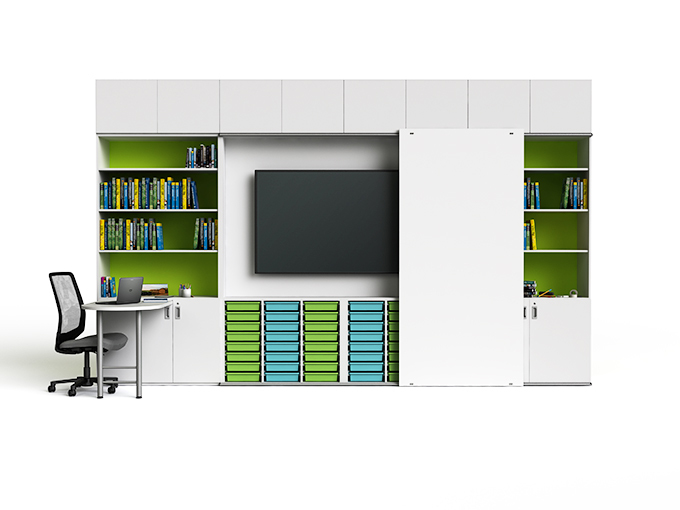 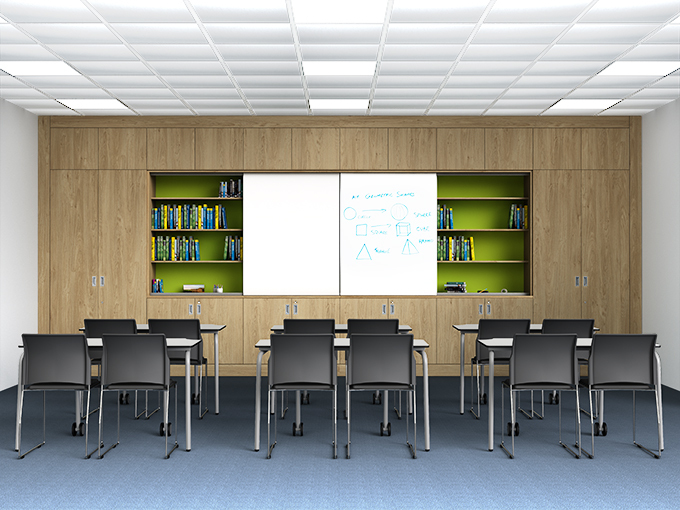 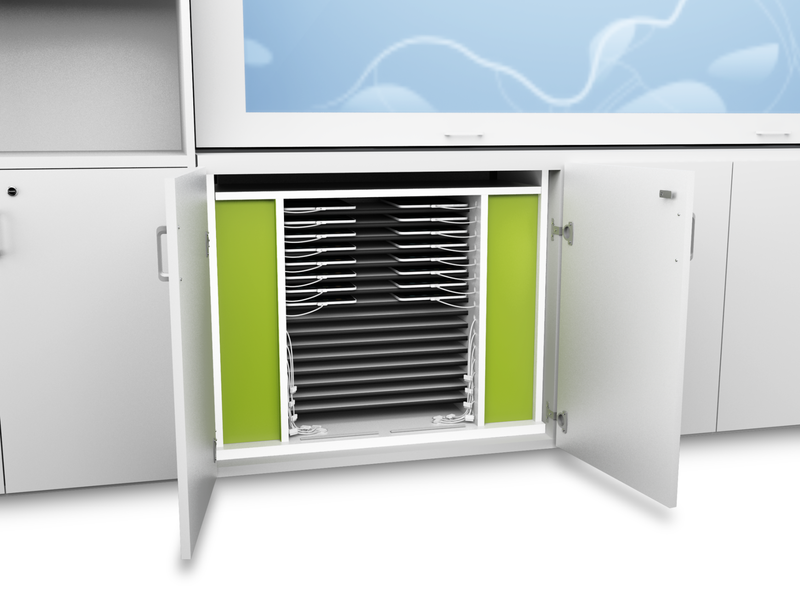 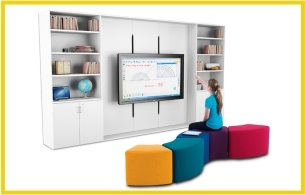 The original TeacherWall® from zioxi is the perfect way to house your large display, smartboard or interactive projector surrounded by shelving, cupboards and tray units for essential storage, and with options of a fixed or pull out Teacher desk and sliding magnetic whiteboard doors. 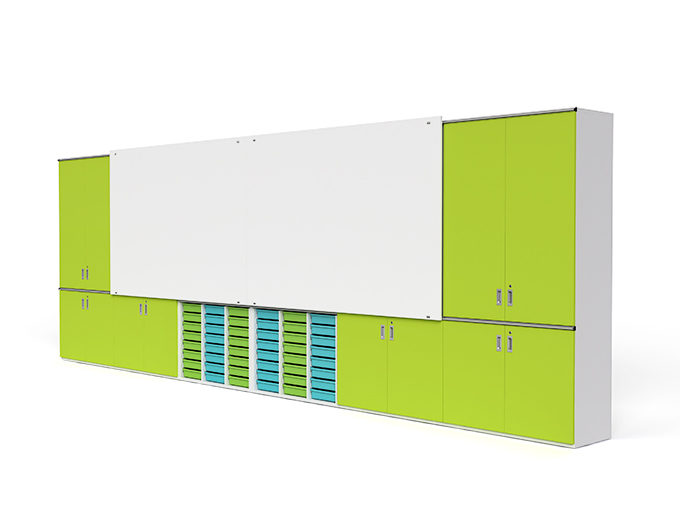 Whiteboards doors can be mid or full height and there’s a wide choice of back panel and door colours. 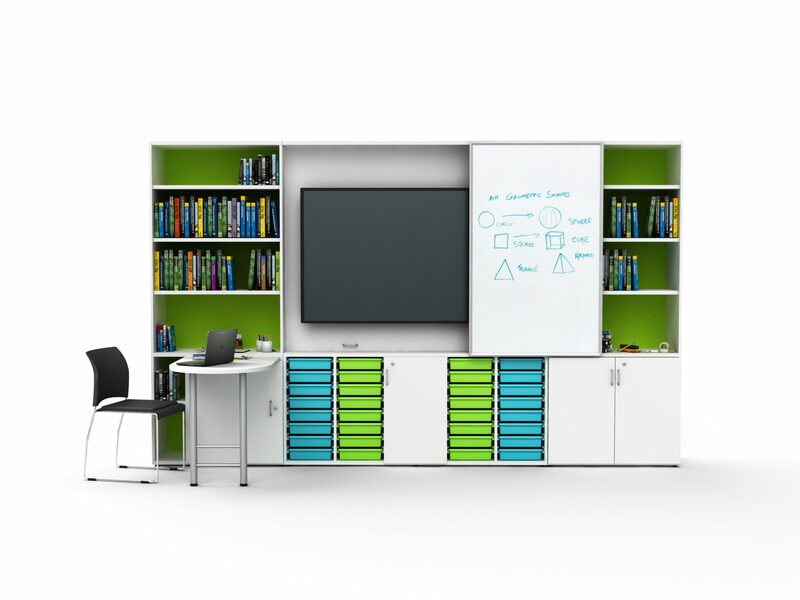 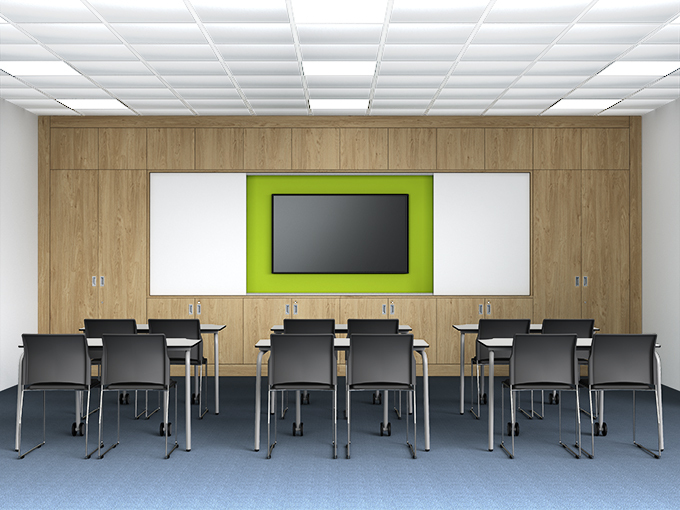 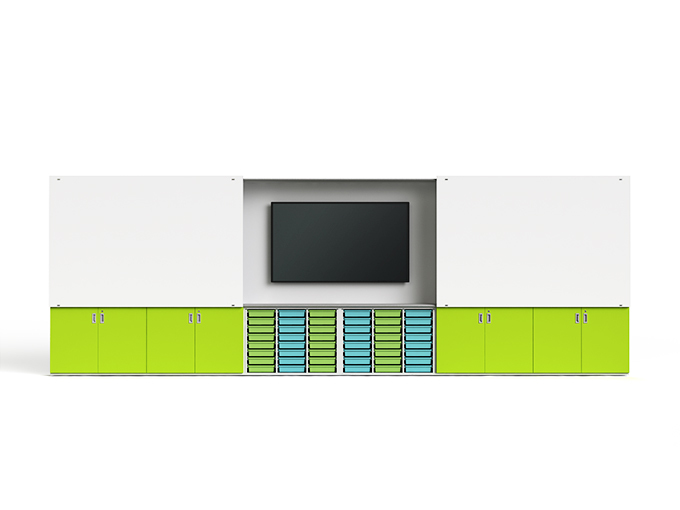 The zioxi TeacherWall® can also provide computer charging facilities for laptops, Chromebooks, iPads & all tablet devices and house other AV equipment such as Apple TV, Intel Unite, speakers, amplifiers & DVD players. 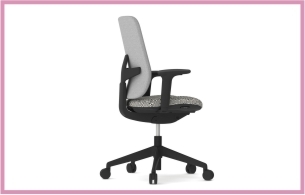 Truly multi-functional.